The Sault Metal Scene: LOCAL CONCERT ALERTS (Theory Of A Deadman & Theatre Of Night), Plus New Sault Michigan Videos!! 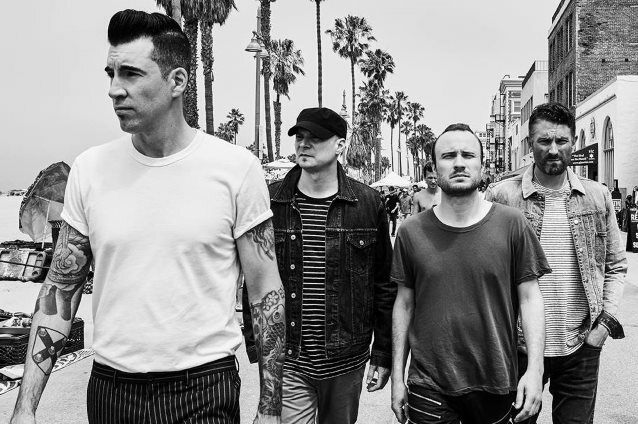 LOCAL CONCERT ALERTS (Theory Of A Deadman & Theatre Of Night), Plus New Sault Michigan Videos!! As promised, here's an all-Sault Michigan post for your Tuesday afternoon reading, and within this post, we have some new video postings from the last while, and leading off, some big LOCAL CONCERT ALERTS for in a couple of months. Here's what you should know! Local classical metal project Theatre of Night have announced the first dates for their Christmas tour, and they will indeed hit Sault Ste. Marie for one show, as they'll make a rare local concert appearance on Saturday, December 16th at The Soo Theatre at 534 Ashmun Street! This was confirmed via a Reverbnation event posting shared on their Facebook page, while the tour will first hit Midlothian, Illinois (outside of Chicago) for two dates the previous weekend, so click here for details on those surprise out-of-state concerts. As per the Reverbnation listing, the Soo Theatre stop will be an ALL AGES licensed event, with a 7:00 PM start time, a $10 admission fee for adults, and a $5 for children, while half of all proceeds will go to the venue's Raise the Roof campaign to fund theatre renovations. Four and a half years since their last public concert, it's awesome to see Craig and Steve bring Theatre of Night back to a local stage, complete with a full backing band this time around! We'll let you know more about the Christmas tour when it comes in, but with "Christmas Night" selections and new carols, this will be a seasonally heavy time in two months! Before we move on, a new preview video was shared from keyboardist Craig Harrison's personal Facebook page to the band's Facebook page two weeks ago, which just features a slideshow of recording computer photos with Snapchat-esque captions, and brief video footage of Craig playing "Silent Night" and some rehearsal jamming. Not a whole not new here, and despite what the video still implies, Craig doesn't speak to the camera, but it's another nice preview, so check it out below! Next up, here's almost certainly the final major hard rock concert of 2017 in the area, as British Columbia hard rock/post-grunge quartet Theory of a Deadman will return to The Dreammakers Theatre at the Sault Ste. Marie Kewadin Casino on Saturday, December 30th! As first announced on Scott & Brian in the Morning on Rock 101 on Monday, this will be the third local stop from these radio regulars at the Soo Kewadin, having previously headlined there in 2012 and 2015, and will see the band touring in support of their upcoming album "Wake Up Call". With hit songs like "Bad Girlfriend", "Lowlife", and their newest "Rx (Medicate)" in their repertoire, they should get another strong reaction from fans at year's end, even if some dislike the new album's softer sound, so keep this one in mind over the holidays! At press time, a potential opening band hasn't been announced, we'll let you know if one is confirmed. Promoted by Allstar Promotions once again, this all ages concert at 7:00 PM will see tickets go on sale on Thursday (source here), and while I saw a reference online to $34.50 ticket prices, I can't 100% confirm that with a link at the moment, so check back at appropriate sources for final word. In any event, tickets will be available at this link, 1-800-KEWADIN, and at the in-person box office. Stay tuned for more updates on Theory of a Deadman's year-end show here as they roll in! While we're on the subject of upcoming Dreammaker's Theater concerts from local favourites, Bret Michaels himself recorded a teaser video for his upcoming concert at the Soo Kewadin on November 25th! Posted by Kewadin's Facebook page to this show's event page two weeks ago, the 22 second video features the Poison frontman hyping up the Thanksgiving weekend concert, which will feature "three generations of us, celebrating and partying over the holidays". Short but sweet, and nice coverage for his sixth regional concert, so check it out below, and get your tickets A.S.A.P.! Finally for today, here's the newest video postings to local music/record store Crooked Music's Facebook page from last week! One video just showcases guitars on sale on the wall for their Friday the 13th sale (13% off! ), but the other features co-owner/Half Stupid alum Zac Crook testing out a new Stratocaster guitar with custom parts, even explaining it's setup to the viewer. Informative overall, while Zac also showcases some bluesy guitar work for good measure to bookend things, so give it a look below, and stop by Crooked Music on Ashmun Street for your musical needs! That's all for today, but stay tuned for more news and notes tomorrow on the Sault Metal Scene! Thanks everyone!